Fastin-XR - Side Effects (UPDATED 2019). Is Fastin-XR safe for you? Fastin-XR – Side Effects. Is Fastin-XR safe for you? 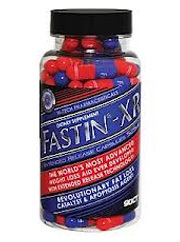 Fastin-XR claims that it is one of the top selling diet pills in the country. It claims that it can give you a boost of energy, while at the same time keeping your mood elevated. It does this through including in it’s product, various stimulants as well as mood enhancers. So is this product as good as it says it is? Or is this just a combination of stimulants that will keep you wired for a few hours? We decided to look into this and find out. This product is known to work as a stimulant that is claimed to boost metabolism, as well as effecting the dopamine and nonephrine receptors in the brain. Fastin-XR also helps raise energy levels without it claims, having users feel jittery like other diet pills may do. 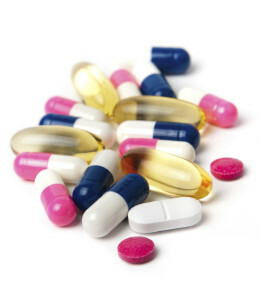 Users are instructed to take 1 tablet twice a day, with an example being during breakfast and lunch, but the times are not specified. It is mentioned not to take this product at night, as it may cause insomnia. While claiming to effect dopamine and nonephrine levels that help weight loss, there is no scientific data that these receptors actually help, as they are known to help improve mood. While this product also claims that people will not get jittery on this product, there are numerous powerful stimulants included that may cause this and other side effects. A more in depth look into this is provided in the next section. Fastin-XR is known to contain a variety of stimulants, some of which include theobromine HCl, Synephrine HCl and caffeine anhydrous. If you are someone who is sensitive to stimulants, this product may not be suitable for you. Fastin-XR also contains 1,3 dimethylamine, which is has been banned by governments and sports authorities alike. Synephrine is also known to be chemically similar to another substance, ephedrine, which has also been banned. Known to effect the serotonin and dopamine receptors in the brain, this is known to help elevate the mood of users. Is also believed suppress appetite. Known to come from cocoa plants, this is known for being a stimulant as well as a diuretic. Also contains antioxidants as well as possibly being able to lower blood pressure. Known to mimic norepinephrine, which is the stimulant trigger in the brain. Known to have dangerous side effects, and has been banned by the government. Known as a sexual stimulant that is used to treat erectile dysfunction. Also known to make caffeine more potent. Also known as bitter orange, this is known as a stimulant that may result in side effects such as palpitations and high blood pressure. Acts as a thermogenic agent. Known to be chemically similar to the banned substance ephedrine. Also known as synephrine. This product contains a double dose of the ingredient, however it is unknown how much is in this product. Known to be used as an appetite suppressant. A crystallized version of caffeine that is known to boost energy levels. Also known as a diuretic. 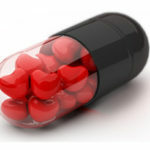 Headache, nausea, vomiting, jitteriness, shortness of breath, palpitations, high blood pressure, heart attack and stroke. If you are interested in stimulant free diet pills that are made from all natural ingredients, check out the top 10 list. If you buy this product from it’s official website, you get free shipping, regardless of how many bottles you buy. There are a lot of stimulants in this product, which means that there are various side effects that may be experienced. While some of these may be rather mild, such as headaches and jitteriness, others can be more serious, such as high blood pressure, palpitations, heart attack and stroke. This is because it’s not just green tea or caffeine that is added into this supplement, synephrine, 1,3 dimethylamine and theobromine as well. It should also be noted that 1,3 dimethylamine has been banned in the United States for the dangerous side effects that it may cause. Synephrine, which comes in a double dose that is hidden by giving it another name, is chemically similar to ephedrine, which was also banned. Overall because of the ingredients included, we cannot stress enough the potential for serious side effects to occur, especially with ingredients that have been banned. And with a price tag of $50, you might get a heart attack just looking at the money disappear in your wallet from having to buy this product in the first place. If you were thinking of taking this product, there’s a lot to be wary about. There are ingredients in this product that have been banned because of safety issues. If you are sensitive to stimulants, this may not be what you are looking for. When taking diet pills, it’s always important to know what exactly is going into them. This product is known to contain a plethora of stimulants, some of which may not be safe for human consumption, such as 1,3 dimethylamine and synephrine. When added with caffeine anhydrous and yohimbine, the effects become all the more potent. 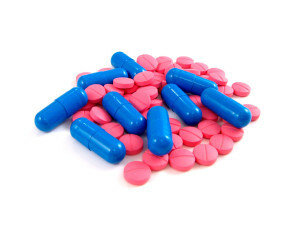 There are safer, cheaper diet pills available on the market. Side effects may be something you have to deal with when taking diet pills, but that doesn’t mean that dangerous ones need to be experienced just to lose weight. We recommend looking into safer, more effective diet pills.